As an industry, we have much to offer our communities and the global world of business. Our leadership in customer service practices and technology is a cornerstone of our value portfolio, but it is by no means all we offer. Employment, and lots of it, is another example of a benefit tied to contact centers. Convenience is yet another benefit, as the time we save our customers can be put to use elsewhere in their lives. We are an exceptionally large employer, and despite all the focus and the gains made in at-home agent programs, most of our employees drive to an office every day. Lots of driving, lots of traffic, lots of emissions. That’s not very green, but no less so than any other major white-collar industry. What differentiates us, though, is the impact we have on our customers. Doing business with a contact center means little more than picking up a phone, sending an email, or initiating a text-chat session. Without our services, customers are forced into other options. Yes, some of them will be able to transact business simply by using the Internet. Others, though, will not have that luxury. They will need to visit a store, an office, a branch or some other physical outpost that offers the service they need. In the 40 or so years of our existence, the number of trips we have eliminated is incalculable. Whatever the number is, even the lowest of estimates will show a substantial net positive impact on the environment. Many of these practices are still more the exception than the rule. Yet they are easy to implement and have little to no cost attached to them. For those reasons, I suspect they will catch on quickly and be considered the norm in the next five to 10 years. Contact centers are no different than any other industry in the evolution of the physical plant that houses our employees and equipment. Every year—every day, in fact—advances are made in the construction of commercial (and residential) buildings that make them more environmentally friendly. Fully capitalizing on the opportunity is no small task, as it requires more money and far more effort to build according to the latest green codes. And while some may associate green with “compromise” (think small, funky-looking hybrid cars), that is clearly not the case here. According to Travis, Nationwide’s facility in San Antonio is the first commercially fortified building in America, capable of withstanding natural hazards like wildfires, hurricanes and windstorms that would damage other facilities. It is all done with a clean, comfortable design that makes for a pleasant work environment. Clearly, the environment makes out better when organizations choose to implement some of the green practices described here. But is that enough? 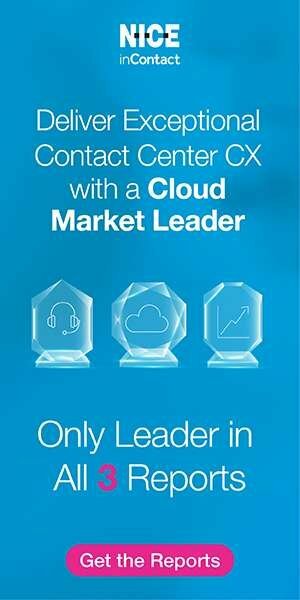 Contact centers exist to serve customers, ultimately for the good of the organizations that employ us. Whatever value you may personally place on environmental issues, there needs to be some payback for the effort for any green movement to hit a critical mass. If you think in terms of return on investment, it becomes easier to analyze the possibilities. Many green practices—collecting batteries and other electronics, encouraging fuel efficient transportation, reducing or eliminating paper towels, for example—involve little to no investment from the organization. At a minimum, these practices strengthen our organization’s position as a good corporate citizen, and most would agree that is enough to justify a very minor investment. What about those big-ticket items, though? Constructing a building that meets the most stringent environmental standards comes at a price. Some payback in reduced energy expenses (and potentially some tax breaks) will offset the investment, but these direct, hard-dollar paybacks will not typically be enough on their own to justify the additional cost. In the end, an investment in environmental design becomes greater than the sum of its parts. Commitments to a great cause—be it the environment or a charity—often help to galvanize a workforce and make them feel a part of something bigger. Finding those types of opportunities in the high-stress world of a contact center is not easy and should be highly prized. However you may define the pie—more compensation, greater prestige, higher intrinsic fulfillment—we all want a bigger slice. Individually, there is much that can be done to ensure we stand out from the crowd. But getting a bigger slice can also be accomplished by simply baking a bigger pie. 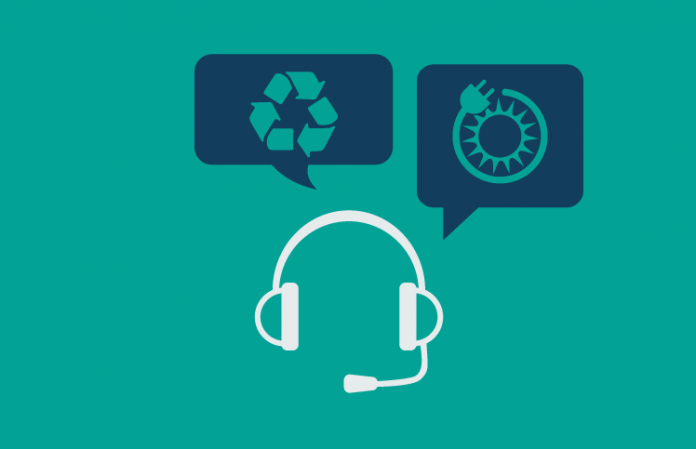 Lifting the image of the contact center industry accomplishes just that, and when we do it with a nod to the environment, the benefits spill over to our employees, customers and community. We know the future will demand more emphasis on going green… so why not start today?